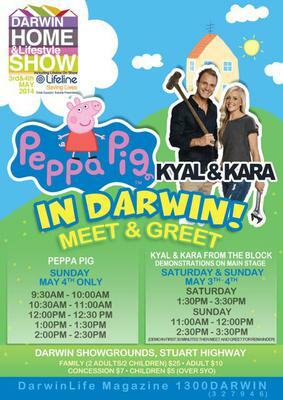 The Darwin Life and Home Expo is organised by Darwin Life Magazine and showcases Darwin lifestyle and living. With a broad range of exhibitors ranging from fashions to furnishing, food and wine, beauty, travel, pools and spas and more, there's something for everyone. There will be loads of entertainment held over the two days, so grab the kids and come on down and see what's new. Guest appearances by Ben 10, SpongeBob SquarePants and the singing and dancing show of Dora the Explorer and Boots. Meet David and Scoot, the soldier mates from the last series of My Kitchen Rules (MKR) and watch them cook up storm. MKR will also be holding their NT castings at the Expo. Food and drinks stalls will be selling their wares during the Darwin Life and Home Expo. The expo is open Saturday from 9am to 5pm and Sunday 9am to 4pm.